Dubai is a unique destination that is both a dynamic business centre and a tourist paradise, offering more attractions, shopping, fine dining and quality hotels. Population: 2.106 Million (2013 estimate) Majority live in Dubai City and its suburbs which has a cosmopolitan population. Currency: The local currency is UAE Dirham and is tied to the US dollar at an exchange rate $1 = Dhs 3.68 (fluctuating). Business Hours: The weekend is Friday and Saturday. Government offices are open from 7:30 am to 2:30 pm.Private Sector office hours vary, but are generally from 8:00 am to 06:00 PM. Shop Hours are similar in their opening times, but most shops remain open from 9:00 am to 10:00 pm. Shopping Malls, Department stores, boutiques, souks and many food shops remain open on a Friday, apart from prayer times (between 11:30 am and 1:30 pm), while larger shops re-open on a Friday afternoon at around 4:00 pm to 5:00 pm. Shopping: One of Dubai’s greatest attractions is indeed its superb shopping. Apart from the shopping areas and the traditional souks, there are a growing number of modern shopping malls and commercial complexes, besides the Dubai Duty Free at the airport, offering a wide range and selection for eager shoppers. In Dubai shopping is regarded as a pleasure. From the most modern shopping malls to the traditional souks (markets), Dubai provides an endless scope for shoppers. In terms of sheer variety, quality and services. Dubai as a shopping city center stands second to none. Customs duties being low, luxury goods are cheaper. Best buys include clothes and fabrics (check out the designer label outlets at Karama and Al Satwa. ), carpets and rugs, electronics, sports goods, perfumes, jewellery, ethnic gifts and novelties, spices etc. Shopping malls like Mall of the Emirates, Festival City, Burjuman Center, Wafi Center, Al Ghurair and City Center are certainly worth a visit. The amazing gold souk, one of the largest retail gold markets in the world is in Deira. From the timeless tranquility of the desert to the lively bustle of the souk, Dubai offers a kaleidoscope of attractions for visitors. The emirate embraces a wide variety of scenery in a very small area. In a single day, the tourist can experience everything from rugged mountains and awe-inspiring sand dunes to sandy beaches and lush green parks, from dusty villages to luxurious residential districts and from ancient houses with wind towers to ultra-modern shopping malls. Dubai is ranked the second world’s most popular destination for shopping after the United States and ahead of popular shopping destinations like Singapore, France, UK, and Hong Kong among others. With a long history as a trading hub, today Dubai is synonymous with shopping. From souk to shopping mall, Dubai has it all – duty free, gold, electronics, textiles, cars – and is a true shopper’s paradise. Perfect for the shop-o-holics and for retail therapy! Dubai has established itself as a major destination for an eclectic array of local and international events and earned its reputation as the sporting capital of the Middle East. 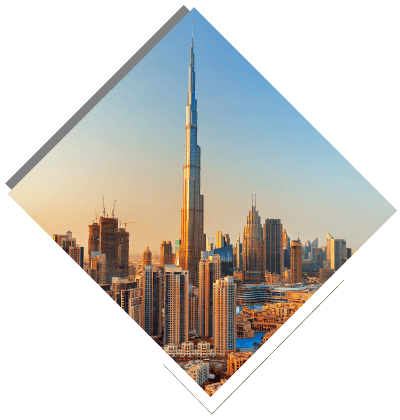 Throughout the year, Dubai hosts a range of popular annual sporting activities, dazzling entertainment attractions, as well as conferences and exhibitions. Federal Authority For Government Human Resources (FAHR) was established in 2009 in order to develop and improve the role of human resources in the federal government, based on the new concepts and international standards applied in this field. It is entrusted with the general powers and responsibilities related to the development and improvement of human resources in the federal government.